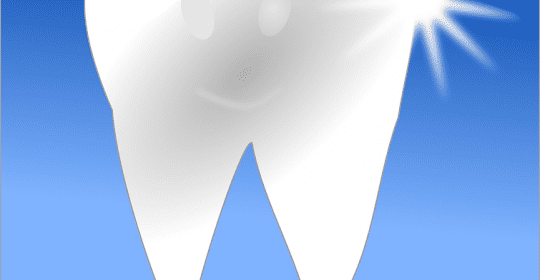 Saeid Badie, DDS Blog Can Children Receive Dental Crowns? A dental crown is a great way to restore lost integrity to a damaged or severely decayed tooth while simultaneously restoring the tooth’s appearance. And while dental crowns are a common treatment among adult patients, they’re somewhat rare in children. Children rarely have levels of tooth damage or decay that warrant a crown – but what if they did? What happens in situations where a child has a cavity that’s too large to be filled? Here’s what you need to know. In What Situations is a Crown Appropriate? A crown is a very useful dental prosthetic that can restore a natural-looking shape and a great deal of structural integrity to damaged teeth. Dental crowns are often used in situations where the patient breaks a tooth, has tooth nerves removed, or has suffered significant decay that cannot be treated with a filling. In some cases, adult patients may choose to receive cosmetic crowns in order to change the shape and color of their teeth – even if they don’t have any dental problems. In essence, a crown is a simple and effective solution for any problem that has compromised a tooth’s structural integrity. In recent years, dentists have developed special pediatric crowns that can be placed in one appointment. These crowns are usually made from stainless steel rather than the porcelain used in adult crowns. Stainless steel is much more durable and can withstand the everyday demands of chewing. However, ceramic tooth-colored crowns are usually an option as well. Children’s crowns come in a variety of sizes. 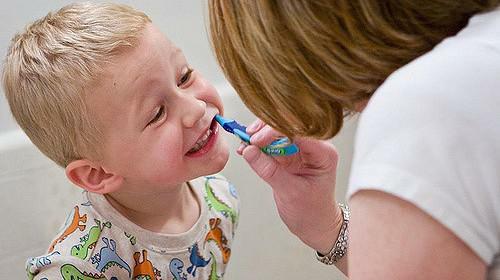 Your Tucson dentist will need to measure your child’s teeth in order to choose the right crown. Once your dentist has chosen the right crown, placing it typically takes less than an hour. Although pediatric dental crowns are typically used in situations involving decay or structural damage, there are some developmental abnormalities that can result in your child needing a crown. Some children are born with a condition called enamel hypoplasia, which is primarily characterized by a lack of sufficient enamel. Enamel hypoplasia can be the result of several factors, including poor nutrition, excess fluoride intake, trauma, experiencing a fever during pregnancy, or some illnesses. It may also be the result of a birth injury or premature birth. If your Tucson dentist diagnoses your child with enamel hypoplasia, he may recommend a pediatric crown. Crowns can protect your child’s teeth from damage and hide the blemishes commonly associated with enamel hypoplasia. Children can indeed receive dental crowns, and a variety of manufacturers have created special pediatric crowns designed to meet the unique needs of children. A dental crown is a great way to treat congenital defects, trauma, major decay, and other problems that may affect the way your child’s teeth look and function. How do you know if a crown is the right treatment option for your child? We can help. Call Badie Dental at (520) 433-9800 today to schedule an appointment with Dr. Badie and learn about treatment options for your child.